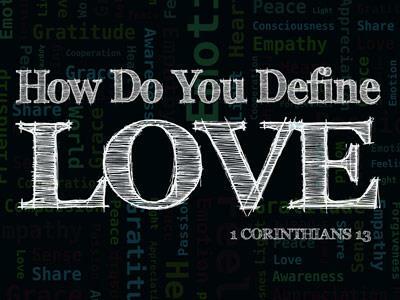 Summary: The love we have and show for one another is how we show the world that we are the disciples of Christ. This lesson is going to focus primarily on how we are to demonstrate our love for one another. In the King James Translation, the term "one another" occurs 41 times. And most, not all, of these phrases are in the context of how Christians are to treat each other. And of the "one another" phrases which do not fall into that category, many of those fall into the "How Christians are not to treat each other" category. Those are just as important and today we are going to look at several passages from the word of God which deal with both. We are going to call these the "do's" and the "not do's". The love we have and show for one another is how we show the world that we are the disciples of Christ. So is it left to our discretion on how we are to love one another or are there some practical guidelines within the word of God on how we are to go about this? How do we show this love, do our brothers and sisters in Christ need to know we love them or can we just assume they know it and go on with our lives? How does our love for one another manifest itself in the way we treat one another? What do we do in order to show proper love? What do we not do if we want to show the proper love? What does the Lord say about this? This lesson is going to focus primarily on how we are to demonstrate our love for one another. In Romans 12:9-18, Paul wrote"
18 If it is possible, as much as depends on you, live peaceably with all men." From this passage we have several that we'll put in the do category. Kindly, affectionate, giving preference to one another, generosity, blessings, rejoicing, patience, hospitable, steadfast prayer, rejoicing with the joyful and weeping with those in pain, peaceful living and a high regard for good things. 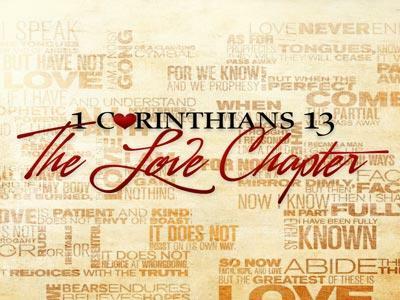 These are all things a Christian must do in order to show that proper love for one another. Paul also threw some "no do's" in there as well. These are things we cannot do if we are to show the proper love for one another. We are NOT to lag in our diligence, we are not to curse those who persecute us, rather we are to bless them. We are not to focus our minds on high things which in this context means the differences between fortunate or less fortunate Christians, things like wealth, privilege, education, social grace, power, office, and position in the world. Not setting the mind on such things means not being influenced by them and not allowing them to be the basis of one's attitude toward his brothers in Christ. Another "Not do" is not to be wise in our own opinions. This immediate application here is that form of conceit which allows petty little human arrangements or opinions among the congregation to serve as the basis upon which some associations are made, and others neglected. In other words, we are not to allow matters of opinion to decide who or who we do not associate with in the body of Christ. There's more on that as we work our way through Romans. We "do not" repay evil for evil. Christianity is NOT an eye for an eye religion. We bless those who curse us, we love those who hate us. We DO NOT repay wrong with wrong. Imagine for just a moment where we would be today if Jesus Christ repaid wrong for wrong on the day of His crucifixion. The love we have and show for one another is how we show the world that we are the disciples of Christ. This lesson is going to focus primarily on how we are to demonstrate our love for one another.